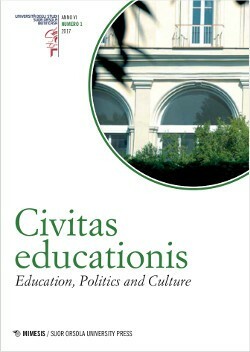 Civitas educationis. 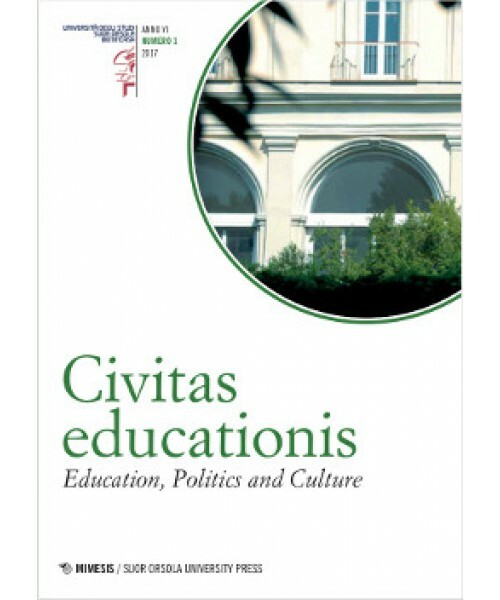 Education, Politics, and Culture promuove la riflessione e la discussione sul legame fra educazione e politica, intesa come dimensione fondamentale dell'esistenza umana. Tale legame ha caratterizzato il pensiero e le pratiche educative occidentali sin dai tempi degli antichi greci, così come testimonia il nesso paideia-polis. 3. "Recensioni" - dedicate a volumi che rientrano nelle dieci aree tematiche della rivista. Il Symposium ospitato nel numero 1/2017 della Rivista, curato da Rupert Wegerif, si intitola Education, Technology and Democracy: Can Internet-Mediated Education Prepare the Ground for a Future Global Democracy? e contiene i contributi di Rupert Wegerif, Fedela Feldia Loperfido, Giuseppe Ritella, Michael Hogan, Tony Hall, Owen Harney, Raluca Judele, Armin Weinberger, Jonathan Doney e Ian Jamison. It is worth recalling that the term technology comes from the Greek term techne that is best translated as the systematic treatment of any art or craft. Physical tools are involved of course in arts and crafts but so, perhaps more centrally, is education for without education no-one knows how to use the tools. [...] New communications technologies required education as induction into norms. Making meaning from moving images which is now so much a part of everyday life as millions swap videos on You Tube, was initially not so obvious. André Gaudreault (1990) points out that early silent cinema screenings required a narrator in order to help audiences make sense of the images that they saw. Now the narrator has disappeared and people educate themselves and each other into reading meaning out of moving images. Research that begins with the question of why does education need educational technology might be missing the real question which is: why does technology need education and what kind of education does it need? The history of technological innovations suggest that it is technology that calls education into being in order to realise its potential ('our' potential). Literacy, including mathematics, is the most obvious example that has given birth to the mass compulsory formal schooling that we now tend to take for granted as part of modern life. But the same is true of each new technology. I am not so much suggesting that we give technology agency here, as that we include technology, and, therefore education, in a larger understanding of 'us' and 'our' agency.